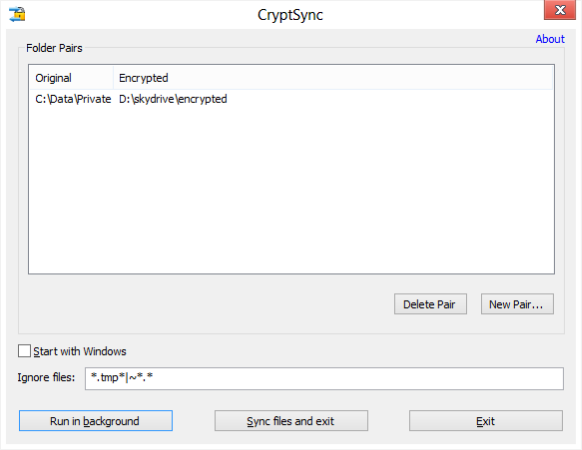 Synchronizes multiple folders with each other, keeping them up-to-date. 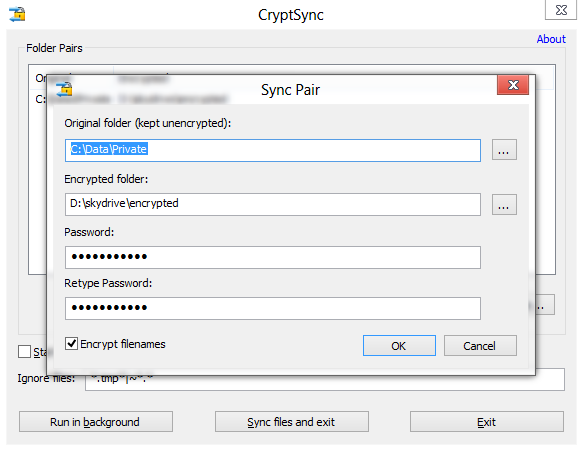 One folder of each pair is kept encrypted. Very useful when using cloud storage tools like SkyDrive, GDrive or Dropbox. 1,106 5,120 Stefan Küng <img src="https://www.oldergeeks.com/downloads/gallery/thumbs/cryptsync1_th.png"border="0"> Nov 30, 2018 - 12:47 1.3.1 2.25MB MSI , out of 22 Votes.